When you get a fraction as an answer, you're usually asked to write it in its simplest form. This tutorial shows you how to use the GCF of the numerator and denominator to fully simplify a fraction! Are you ever asked to put your fraction answer into simplest form? Wonder what 'simplest form' means? This tutorial explores exactly that! 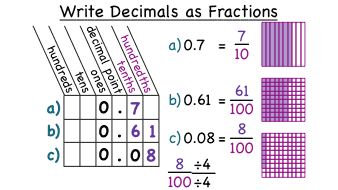 Take a look at what a fraction needs in order to be in simplest form.